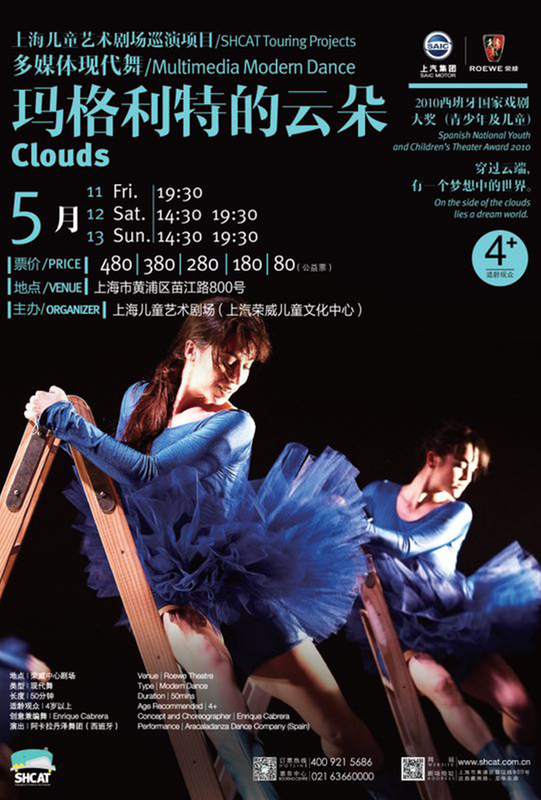 Clouds is an explorative multimedia modern dance experience for children from ages 4 and up. Inspired by the works of surrealist Belgian painter René Magritte, the performance explores the imagination, and whether what we see is what we see, or just what we wish we imagine we see. Take clouds. Are they sheep? Or are sheep clouds? Are all sheep clouds or vice versa? Much like the Belgian's paintings, what you see in Clouds is as much up to your imagination as it is what's happening on the stage. There'll be five showings at the Children's Art Theatre this May.